Hi everyone, Darcy here with topic number 2. This time we are exploring masking techniques. We have touched on these previously when we did 'resists'. However there are differences, a resist can be left in place, these can include paint and embossing powders amongst other things. Masks on the other hand are a temporary step in the process and are always removed. Basically a mask is used to protect an area, this area can be left totally blank or the mask can be moved around and layers built up. There are several techniques and things that can be used as a mask, and each creates different effects. Our designers over the next two weeks have some really lovely ideas for you. We had an amazing array of entries, from zingy brights to more subtle blended pieces. I think you will agree this was a winning combination of colours, whether it was your first time or an old favourite. Masks have been around much longer than you might at first think. 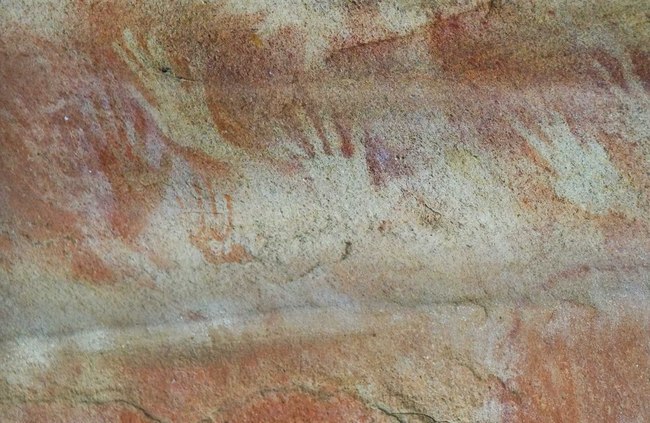 How about going back to ancient aboriginal tribes? yes really that far back. it is crazy to think that some thing we use so creatively was being used thousands of years ago.Ochre,water and animal fat were put into the mouth and then the mixture was blown and sprayed from the mouth over their hand which became a mask. the result was a halo of colour around the hand shape. These were not a decorative mark but one of hierarchy. The higher on the wall the print is the higher the position within the tribe. The more an important a person was the more of the wrist arm was used aswell as the hand. Next came pottery, masks were used under layers of glazes. This is an age old technique that is still used today. Today of course we can still use our hands, why not try that by mixing up some Fresco paint into a spray bottle with water... please do not put paint in your mouth! But there are other methods, from found objects, to various types of paper and tapes right through to specifically designed paper and mylar masks. 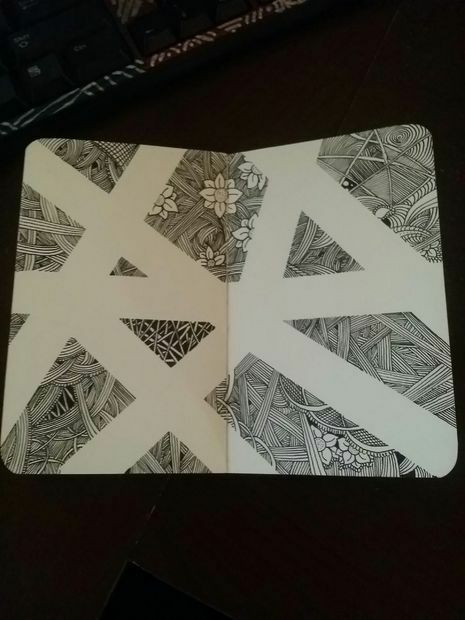 Of course the easiest thing to use is paper, you can just grab a piece and use the straight edge to mask off an area, or you could tear it apart, perhaps into raggedy strips. These strips are especially effective for creating hillsides. If hills aren't your thing then torn paper can provide a really interesting edge, just hold in place and add your ink or paint. Be very careful to not push your colour under the paper. Another really popular paper to use is a post-it note. The added advantage of these is the sticky strip at the back which will adhere to your project while you add colour. In this next card the post -it notes were torn and arranged into squares. This quick video shows how to stamp onto a post-it note and use the cut out image as a mask. You can also use punched out shapes and stickers as masks. Stickers are great as they will stay in place while you add colour, be careful as you remove them as they may tear up your background paper. You could remove some of their stickiness before using them. Next on the list of things to try is masking tape. It can sometimes be very sticky, and tear your background paper, you can remedy this by removing some of the sticky. You can also buy artists tape which is less sticky but much more expensive. You can rip the masking tape for interesting ragged edges or use it as it is for nice clean lines. Depending on how careful you are applying your colour, you can get crisp lines or allow some colour to seep under for a softer look. 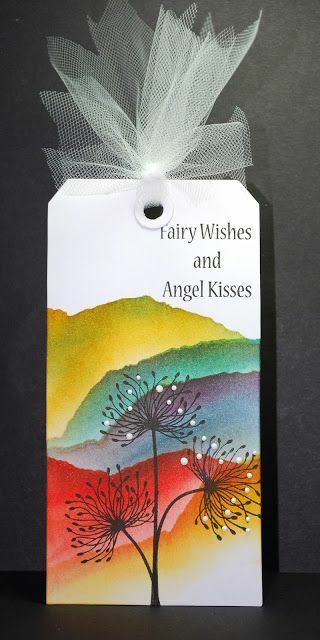 Here is a great way to use masking tape, see how it has just been used in the main centre section of the page and all the decoration is around the edge, leaving a generous area of journalling. 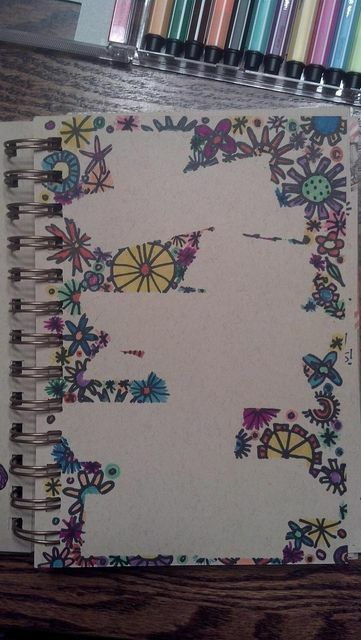 Here is another fantastic journal page done with masking tape and doodles. A really effective mask can be made from an aperture care, the ones with a circle aperture are the most useful, but you could cut a circle from card yourself. At first this may appear to be a stencil, and of course it is in the sense you are adding colour inside the shape. 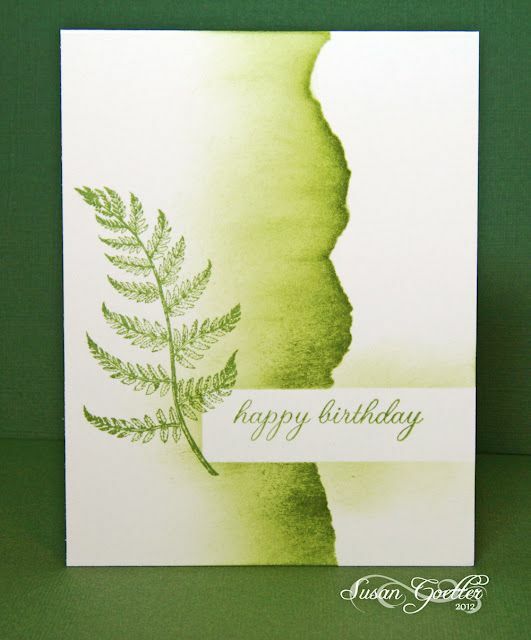 But remember you are also masking off the rest of the card and protecting it. First up is a video with a really nifty technique for creating a really effective circle. 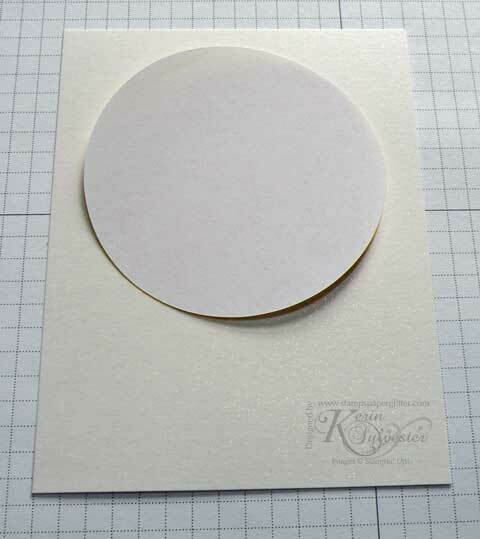 This card begins by adding colour in this way, through a circle, while protecting the rest of the card. The next step is to use the circle that you have cut out, and use that as a mask, now you can work on the rest of the card. The final card is stunning, and shows beautiful blending. 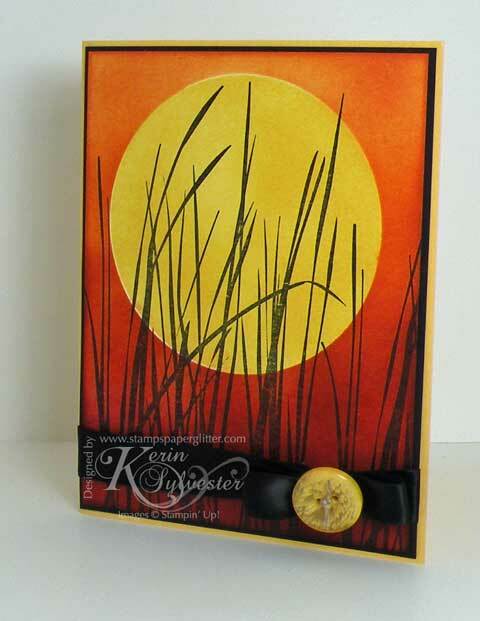 These steps are by Kerin, pop over and see the rest of the tutorial. Here is another fantastic piece where you can see the circle of white has been protected by a mask. Here is another video for you, this time from Heidi Swapp, working on a gorgeous scrapbook layout, personally this is one I am definitely going to try. There are so many amazing collage type stamps from PaperArtsy that would be perfect for this technique. 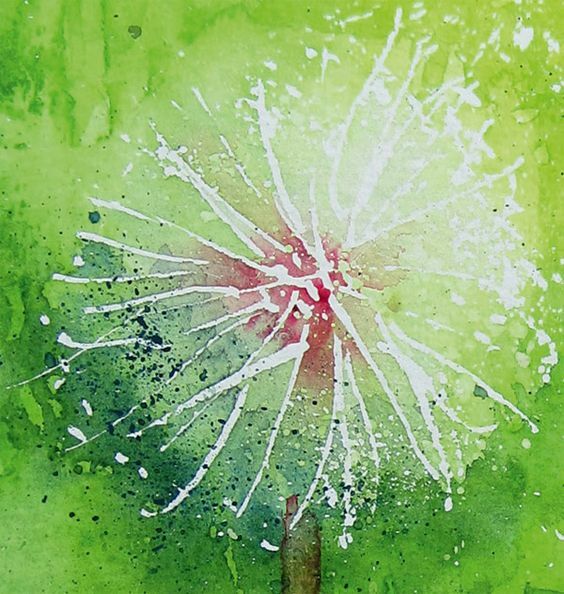 Masking fluid has been around a long time too, and it used by waterolour artists all the time. This is a fluid that is painted onto the paper and left to dry, then the watercolour paint is added and this too allowed to dry. 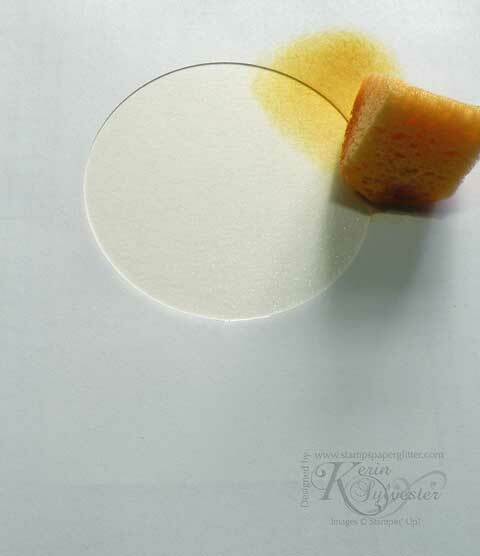 At the end of the process the masking fluid can be gently peeled off leaving crisp white substrate below. This is a handy technique for keeping highlights really bright, for adding droplets and sparkles etc. 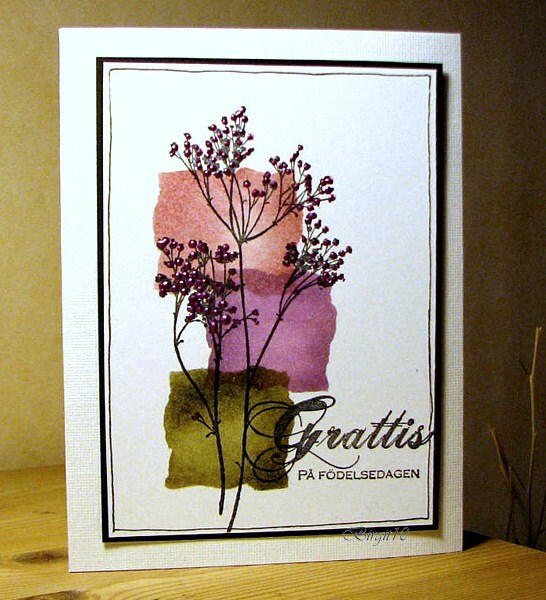 Masking fluid is generally a creamy colour, but you can also get a blue one which is much easier to see. Though if you are concerned about marking the substrate beneath then there is a clear version too. 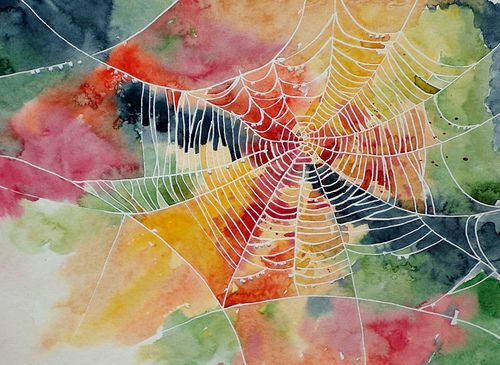 I love this watercolour/masking fluid spiders web. Finally there are mylar masks, you all know about mylar, it is the same stuff that stencils are made from, and it comes in various thicknesses. Too thin and it is very flimsy and not durable, too thick and the colour or texture paste that you add into the design goes on too thick. 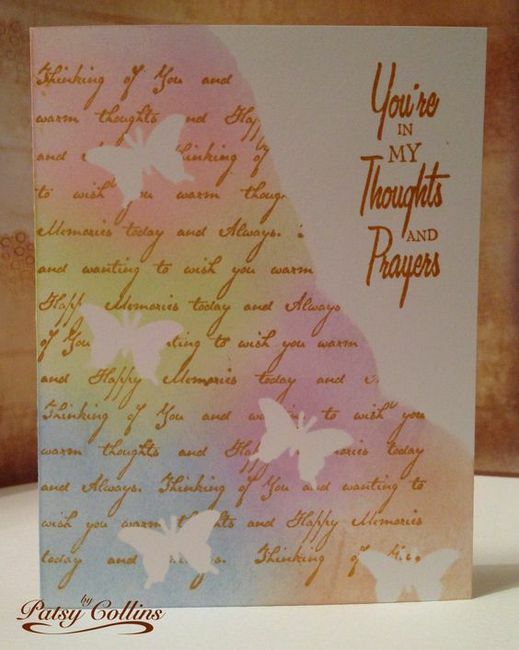 PaperArtsy mylar is a mid range thickness and we think that it really is good for all sorts of applications. 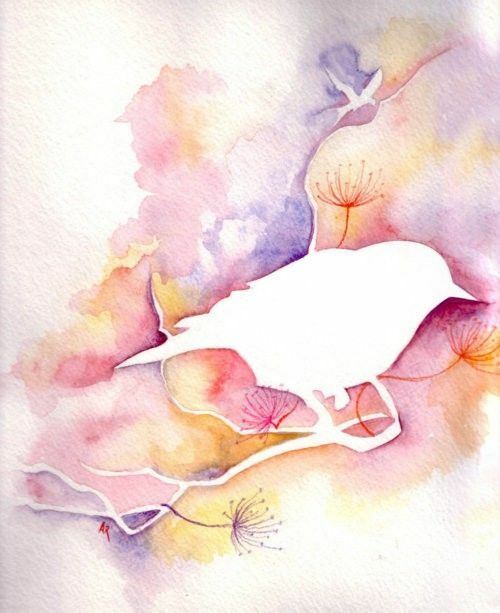 Keep your eyes peeled for some gorgeous new additions to the PaperArtsy collections soon! It is easy to confuse stencils and masks, and they are interchangeable. Generally a stencil will give you the shape and a mask will add details, but this is not always the case and it can be reversed. Both are lots of fun and you just need to play with them and make them work for you. 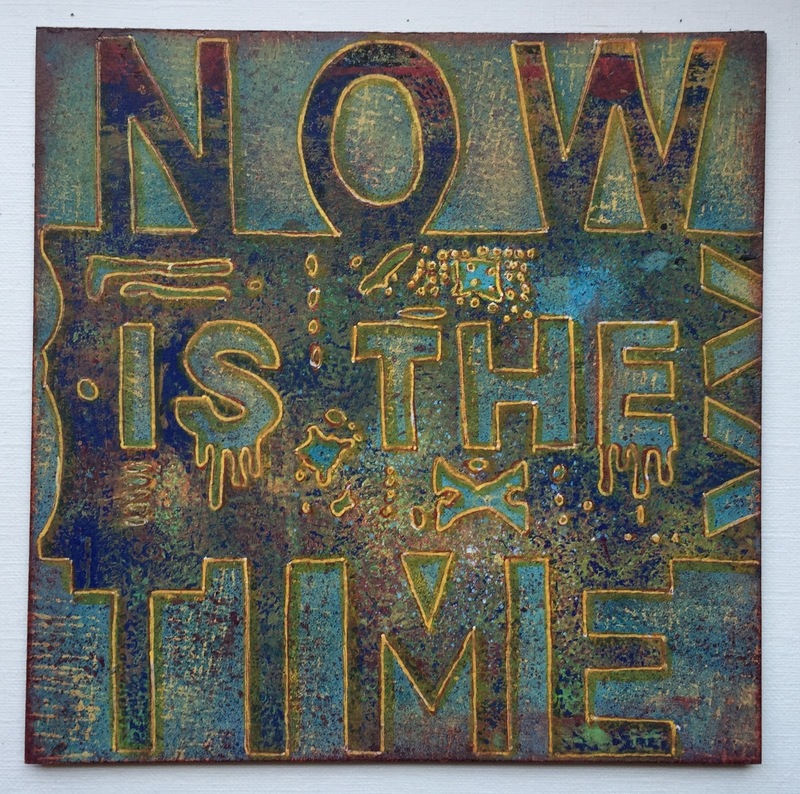 A perfect example of using stencils and masks together is this piece by Seth Apter his stencils and masks are interchangeable and all work brilliantly together. You can buy this particular mask HERE. I hope you have fun making and using masks over the next two weeks, don't forget our guests have lots of ideas for you so make sure to pop back here on Mondays, Wednesdays, Fridays and Weekends to see what they have for you. The current topic link will close 17:00 (London Time) Sunday, Feb 26th 2016, and the winner will be announced 2 hours later at 19:00.
well done, Mark - and a fab new topic to get our teeth into! Ooh..what a fab topic... I am going back to watch the video but it's already got me thinking... great research! 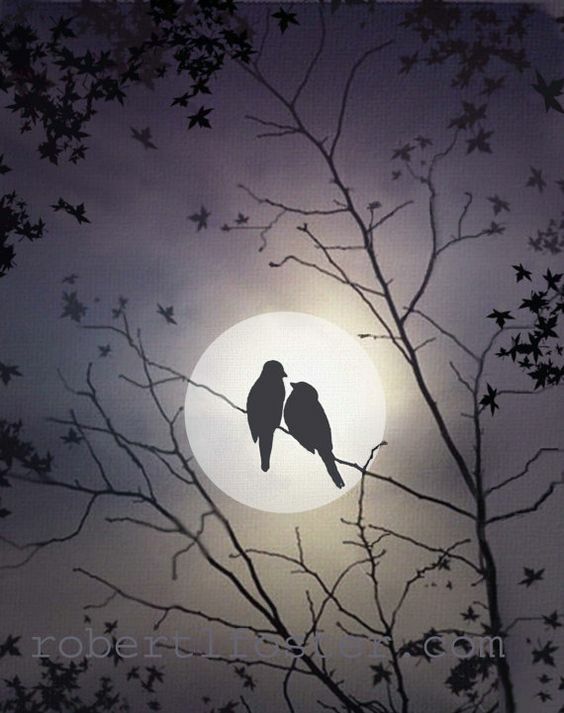 Congrats to Mark, I loved his background. Another fascinating topic that is new territory for me. Cogs whirring, craftroom light on!! Well done to Mark. 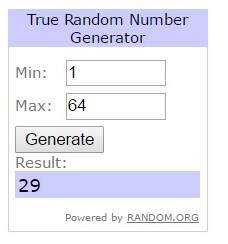 Great 2nd challenge. 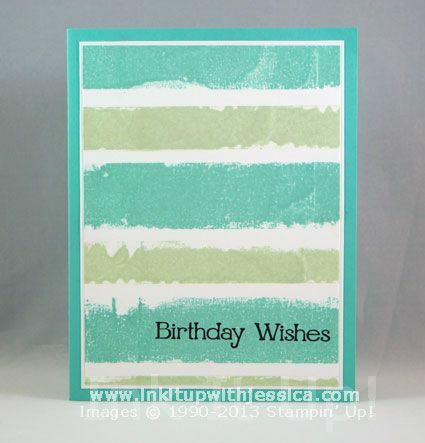 Masking and stamping, match made in crafting heaven! Brilliant topic and I've had that Heidi Swapp sheet of heart masks for years but never thought of using it as in the video, Doh! Well done Mark on your win. Great intro darcy, love the heidi swapp idea! Fantastic inspiration and a great topic!